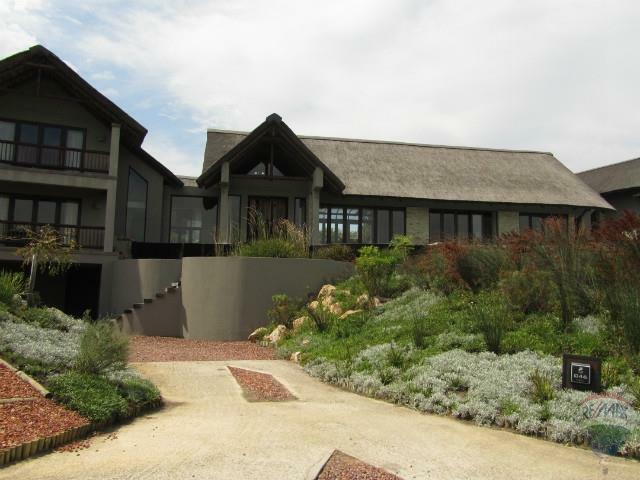 Perfectly positioned in the Pezula Private Estate, this exquisite state of the art home provides that African game lodge feel with its thatch roof and African finishes. The North facing house has large glass patio doors that fold back to reveal dramatic views of the indigenous forest and the Indian ocean. The main house with its ornate African doors boasts 4 luxurious bedrooms (all en suite), a well designed living area, with two lounge areas, a sophisticated open plan kitchen and stunning entertaining terraces around a 14 metre heated horizontal rim-flow swimming pool with terraced ponds in front of the property. Luxury at its best ! The main house can accommodate 8 people. A separate luxurious cottage can accommodate a further 2 people, with its one bedroom (en suite), lounge area with fireplace and separate entrance. Double garage underneath the house provides parking for 2 vehicles with additional guest parking available undercover close to the main entrance. Minimum of 7 night bookings only.